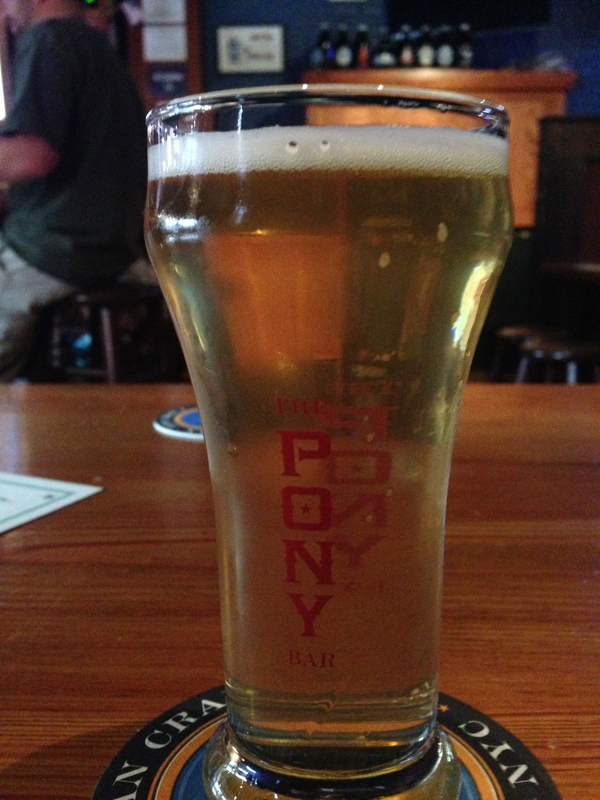 Andrew: I checked out Pony Bar’s website last night and saw that they had a beer from Carton called Something Like Sandy wild stout. The brewery was making this beer when the storm hit and it was left fermenting longer than expected because of the storm. Something Like Sandy is great. You can tell that it’s a stout, with good coffee flavor and a substantial mouth feel. But then the sour funk mellows it out so it doesn’t drink as heavy as a stout. It’s also not nearly as tart as some other sour stouts, like Bruery’s Tart of Darkness (super tart), however Tart of Darkness isn’t as “stout-y” as Carton’s, and drinks significantly lighter. I really like sour stouts. There aren’t many breweries who brew them. Tart of Darkness is still my favorite example. I also really love Crooked Stave’s Nightmare on Brett (a sour porter). 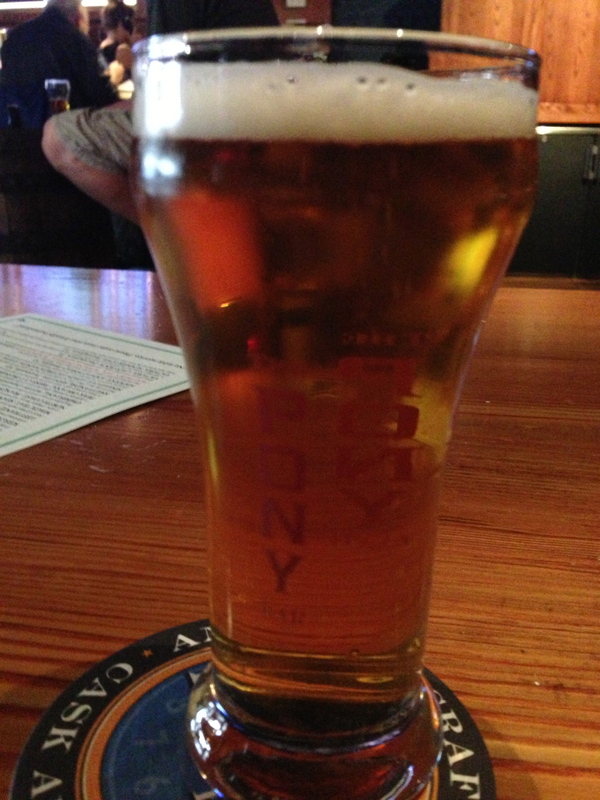 Pony Bar also tapped Southern Tier Pumking this afternoon, so I had that next. As I’ve said in previous entries, this is my favorite pumpkin beer. It was so good. Great spiciness, but not overpowering. It tastes like a delicious slice of pumpkin pie in a glass. Then I decided to go with a Bruery Hottenroth Berliner Weiss beer. I had this at Torst the first time I had it and loved it. It has a super-low ABV at 3.1% and is a great representation of a Berliner Weiss beer. Super refreshing with tons of tiny little bubbles—like drinking champagne but with no booze. 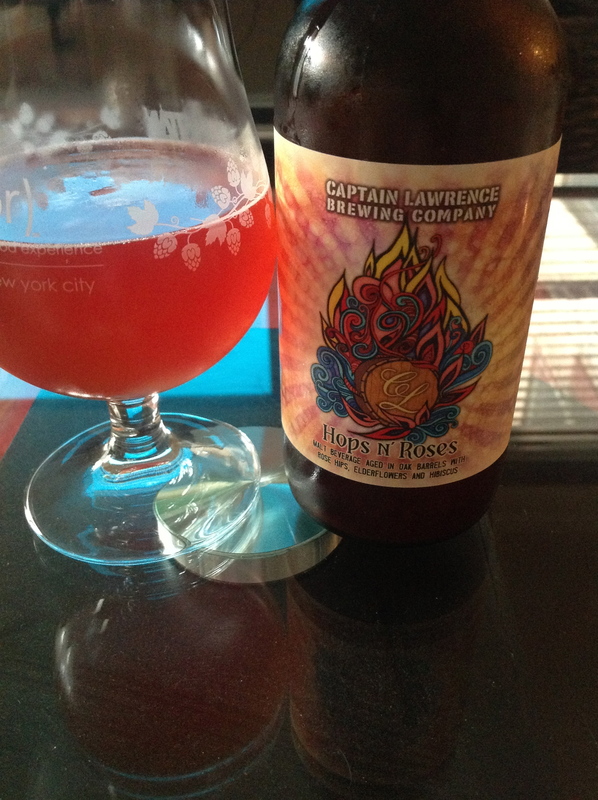 I’m now enjoying a Captain Lawrence Hops N’ Roses that my friend Matt brought as a gift, straight from the brewery. Thanks, Matt! The flowers give such a great sweet floral flavor and there’s a really nice tart funk from the Brett—refreshing and nicely balanced. I love Hops N’ Roses—it has aged great since having it about a year ago for the first time. This is one of my favorite beers of all time, and great to sip forever. Thanks for the link back! I need to find Something like Sandy – or Tart of Darkness for that matter. I don’t think that Something Like Sandy will be bottled, but Tart of Darkness is out there.